If you live or work in Port Clinton, Ohio your access to internet and phone service has recently become faster and easier. 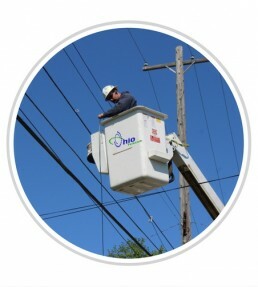 Ohio Telecom is currently installing its own fiber network throughout the city. A significant percentage of the fiber network is currently installed and several hundred Port Clinton residential and business customers are already using the fiber network with dozens more coming on each week. Fiber Optic coverage in the U.S. I decided to switch my internet service to Ohio Telecom because my previous provider had unreliable speeds and service. Ohio Telecom offered far better speed options at lower prices. I am a college student, and in order for me to complete my online assignments and research, I needed a internet provider I could rely on. Please call our office at 419-734-2369 , option 4 or stop by to chat! We are now located at our newly renovated building at 115 W 2nd St Port Clinton, OH (next to the Post Office). Currently service is only available in certain parts of the City of Port Clinton. Please note: If you received a door hanger, you do qualify for service! Call us to sign up at 419-734-2369. If service is not available in your area yet, please contact us so we can add you to our list and we will notify you when the service becomes available.